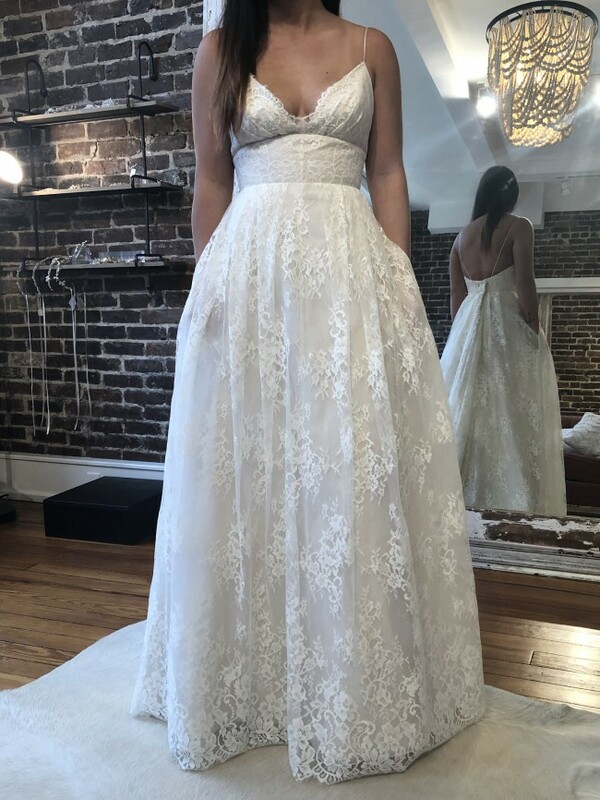 Dreaming of a gasp-worthy wedding dress that also has pockets? Luna is your girl! Framed by spaghetti straps, a daring camisole neckline and low back offer flirty balance to her classic Chantilly lace overlay. A wide belt narrows the waist, from which falls a full, fluid skirt and chapel train. Full lace gown with spaghetti straps, open neckline, and back with pockets, 100% silk underlay, handmade in Canada. Ivory lace with blush silk underlay.